Please join us for an evening of experimental, ambient and exploratory sounds. 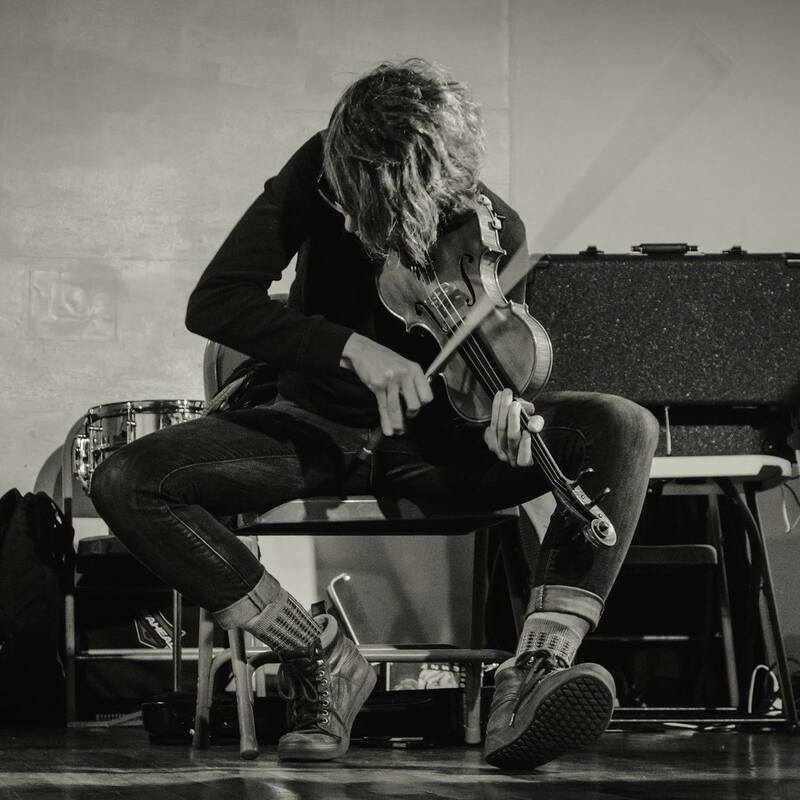 george cory todd is a musician and sound artist based in Berkeley, California. He utilizes various computer-based musical elements to forge new sounds. Born in Maryland, george has studied, performed, and toured throughout the world as both an instrumentalist and composer. His debut release, Icon, will be available soon. gabby fluke-mogul is a violinist, improviser, composer & educator living in Oakland, CA. gabby explores the depths, infinite sounds, hues, & multitudinous voices of the acoustic violin. through improvising//composing, gfm hopes to create space for individual & collective intersectional process, intimacy, & vulnerability. they are interested in the sensual nature of sound—how desire & eroticism are embodied & translated within the political & poetic context(s) of improvisation. Omar Akrouche is a multi-instrumentalist musician, composer and audio engineer based out of San Francisco. As a self-recording artist, his approach to making music is equally inspired by sound as it is from visual mediums, such as analog photography, filmmaking, and painting— with William Basinski meaning as much to him as Richard Diebenkorn. Omar frequently collaborates with friends and artists to produce their musical ideas, he values the role of the curator in making records, and believes in a cross-disciplinary process that engages with more than just the music. With visuals by Molly Monahan. Tickets are $15 general admission, $10 for students with ID. Advance tickets are available at the link below, or you may purchase your tickets at the door the night of the show. Doors open one half hour before show time. We accept cash only at the door (ATMs are nearby).